Gaming phones are all the rage these days. Razer, the popular maker of gaming hardware and accessories, entered the smartphone market recently with the Razer Phone, a smartphone with top-notch specs and the world’s first 120Hz smartphone display. When you strip away the fancy marketing and the screen’s faster refresh rate, the Razer Phone is like any other flagship from last year with top-of-the-line specs (including 8GB of RAM like the OnePlus 5). The Razer Phone also offers features such as Dolby Atmos-enabled stereo speakers, a high-capacity battery, and software tools such as the option to adjust the frame rate and resolution inside games to make for an enhanced gaming experience. The Razer Phone has also prompted other manufacturers, such as Xiaomi and Asus, to jump on the gaming phone bandwagon. It’s been a topic of debate here at SamMobile as well, and we have been wondering if Samsung stands to gain anything from making a gaming phone. Actually, to us, a dedicated gaming phone from the Korean giant makes no sense, and here are a few reasons why. Let’s take into account the Galaxy S9 and Galaxy S9+, Samsung’s latest flagship phones. The S9 and S9+ already offer most of what the Razer Phone is offering. You have brilliant stereo speakers with Dolby Atmos, an HDR-enabled display, and the fastest processors available today. Granted, only the Galaxy S9+ has 6GB of RAM, which is still less than the 8GB of RAM on the Razer Phone, but other than not letting you resume a game where you left it after switching to other apps, is 4GB of RAM a limitation for gaming on a flagship phone? And while the Galaxy S9 and S9+ displays might not have a refresh rate as high as 120 Hz, they do provide the best viewing experience thanks to top-notch AMOLED panels. The Razer Phone makes do with an LCD display as only LCD technology currently allows a refresh rate of 120 Hz, and Samsung sure wouldn’t want to put an LCD panel on any of its high-end devices. so it will have to wait until it has an OLED panel capable of reaching such high refresh rates ready for the mainstream. 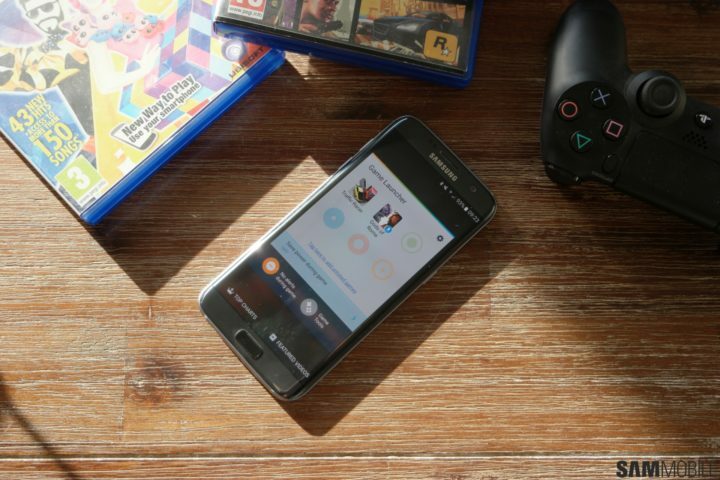 Battery life is one aspect where Samsung flagships can’t match dedicated gaming phones. Rumors suggest that will change with the Galaxy Note 9, but we know better than to take such rumors too seriously until we get solid evidence supporting them. 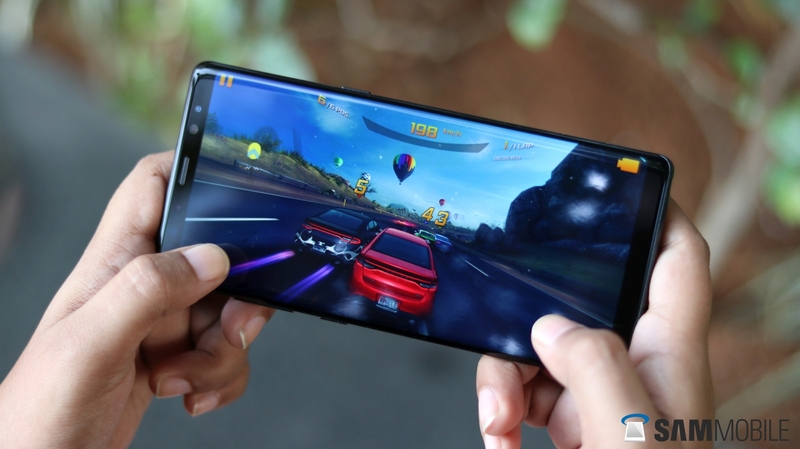 Leave aside battery life and a display with a high refresh rate, though, and Samsung gives you all the necessary ingredients for running the most demanding of gaming titles. Samsung took an active interest in enhancing the gaming experience much before the Razer Phone and the gaming phone fad came into the picture. The company introduced features like Game Launcher, Game Tools, and Game Tuner to allow the user to customize their gaming experience. Between Game Tools and Game Tuner, you can change a game’s resolution, frame rate, texture quality, and other parameters, record gameplay footage and share it with others, and also lock the navigation keys and disable notification popups to prevent interference when you’re engrossed in a game. 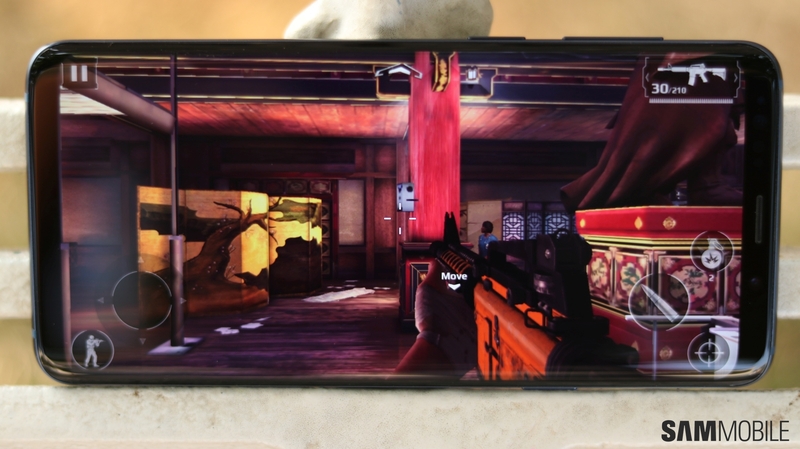 The Razer Phone offers similar features, but it doesn’t get the option to record gameplay videos. Samsung’s gaming tools are also available on a lot of devices in the company’s lineup, so you could pick up any of those from the last couple of years and get access to a similar deal of customization as the company’s latest flagships. The bigger issue with a gaming phone that runs Android is the lack of games that would take advantage of the sort of hardware Razer is providing, like the 120Hz display that allows for smoother frame rates. The iPhone and iPad are the mobile devices that game developers like, often offering slightly better graphics in high-end games compared to the Android counterparts (just look at Modern Combat 5 on iOS, which adds various visual effects not seen on Modern Combat 5 for Android). And developers don’t need any special incentive or push from Apple to make their games look (and perform?) better on iOS. Razer, meanwhile, had to team up with a few game developers to make their titles take advantage of the Razer Phone (many of those titles aren’t yet available for download but will arrive at some point in 2018). The same will be the case for Samsung, despite its dominance in the Android smartphone market. Sure, game developers will have more incentive to add features exclusive to a Galaxy-branded gaming phone than something from smaller players like Razer, Xiaomi, or Asus, but they probably won’t do it with the kind of eagerness as they do for Apple’s devices. Casual gamers form the majority of the user base for mobile games, and casual games don’t usually involve the kind of graphics or gameplay that would benefit from something like a fast display refresh rate or top-notch hardware specs. That makes gaming phones like the Razer Phone a niche segment, and Samsung dipping its toes in such a segment wouldn’t bode well for the company’s finances. In fact, even if the company stopped caring for profits and sales figures, the Samsung of today, one that doesn’t innovate for the sake of innovation, wouldn’t be too interested in wasting time in a niche device that would only attract a small portion of its user base. Those are the only reasons we can think of for why a gaming phone from Samsung doesn’t make sense, but do we really need more? 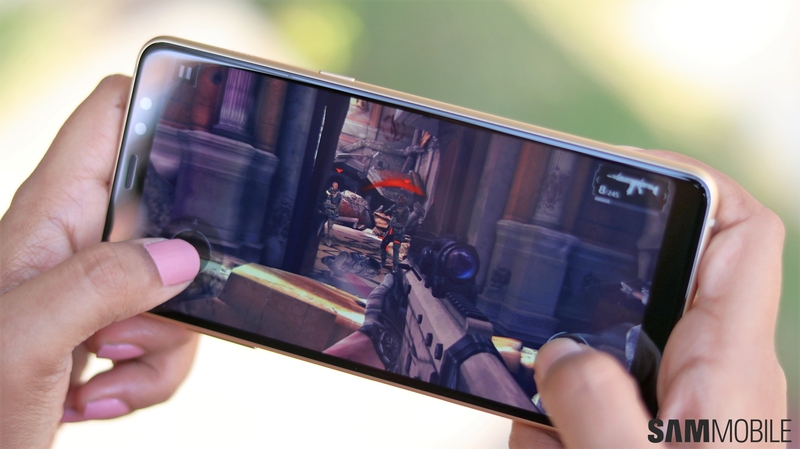 It’s clear that the company’s flagship phones are already well equipped to handle gaming for even the most ardent of mobile gamers, and while smaller players in the market can get away with throwing resources on a gaming phone, Samsung doesn’t stand to gain much from going down a similar route. What’s your take on a gaming phone from Samsung? Should the company make one, or do you agree with our reasons for why it doesn’t need to? Get a discussion going in the comments! What are those games called? updation of midrange phone should be done. I wish they’ll make a different line of processors for J series. “I wish” they’ll make a different line of processors for note series. Gaming phone they already have. But the issue is compatibility on gpu adreno is the best gaming gpu and apple uses a power vr. In the other hand samsung exynos is a mali if you have this mali gpu you will face the compatibility issue. I hope samsung change exynos to power vr . Then gaming phone is at best also the battery life. First of all get rid of the Touchwiz UI lag completely make it more fluid and easy to run on budget phones firstly. Here i am with a 1.5 gb of ram regretting my purchase. First they need to make a phone which able to make phone calls. I do hate that iOS games usually look better than their android counterparts and it’s unnecessary. They should take advantage of graphic intense capable hardware, or at least give us an option for “ultra” graphics or something. It’s probably the different hardware in use on Android that makes them avoid doing that. Gaming is one area where they probably don’t want to run into compatibility issues, or, well, iOS is just easier to design for (which they say it isn’t) thanks to the tight control between hardware and software. Samsung is good at gaming,but is cool having a separately phone for gaming.It it would be a very good idea. And a lot of kids bay good phones just for gaming. There’s no need. The stereo speakers are brilliant on the S9, there are bezels to hold onto and the Snapdragon 845 and Exynos 9810 are super fast processors. It runs very cool in the most demanding games and even with heavy VR games like End Space and others the phone barely gets warm. Plus it’s only a niche market for a few gamer fans that would buy it, as we know from the bad sales flop that the Razer phone is. So, it’s a bad idea. You can’t make a phone that won’t heat up when used. Not yet at least. Well Samsung’s phones are usually top spec so I doubt they’ll want to do a gaming phone. What they would consider making though is maybe a Gaming Edition S or Note series having a different look in terms of exterior design and probably a customized theme for the launcher. And to be honest no one would buy a gaming phone made by Samsung as we all know how they are in the software department. That phone won’t be updated in a few months. *Cough Note Edge, *Cough Note Edge FE, *Cough Samsung Galaxy Camera! No. Just make sure the S10 has all the necessary hardware to compete with “gaming” phones, which in all honesty, the S9 already has. Even S8 is great at gaming.